Soft nylon bristles-Soft bristles gently clean wood and other delicate floors. Cleans awkward spaces-Pivots 180° and has an ultra-slim profile to reach into the awkward gaps between cupboards and units more easily. Seals in suction-Two curtains of bristles – the first removes large debris, while the second seals the tool to prevent suction leaking. Suitable for most Dyson upright and canister vacuums. Compatible with DC19 and newer models, except DC24 and Dyson cordless vacuums. Counter-rotating heads with brushes-Counter-rotating heads with brushes remove hair from carpets and upholstery, so there’s no brush bar for hair to wrap around. Contact across uneven surfaces-The flexible heads bend to maintain contact across uneven surfaces. Articulating base plate-The articulating base plate ensures that the brushes remain in constant contact with a surface. Brushes positioned further forward-The heads are positioned so that the brushes reach to the front and sides of the tool – drawing hair and dirt in from all directions. No brush bar for hair to wrap around-More hair is released straight into the bin than with any other mini turbine tool. 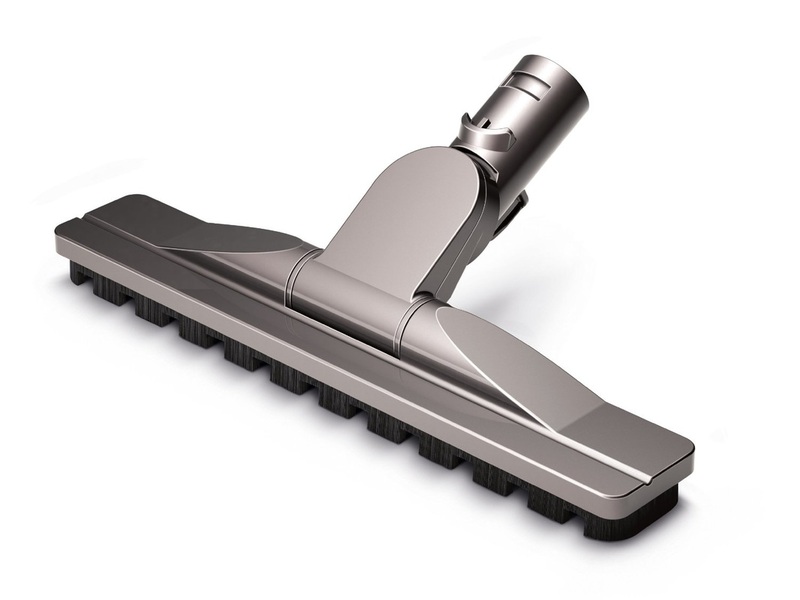 The Dyson Groom tool is suitable for most Dyson upright and canister vacuums. Not compatible with DC01, Motorhead models or cordless vacuums. Groom mode. 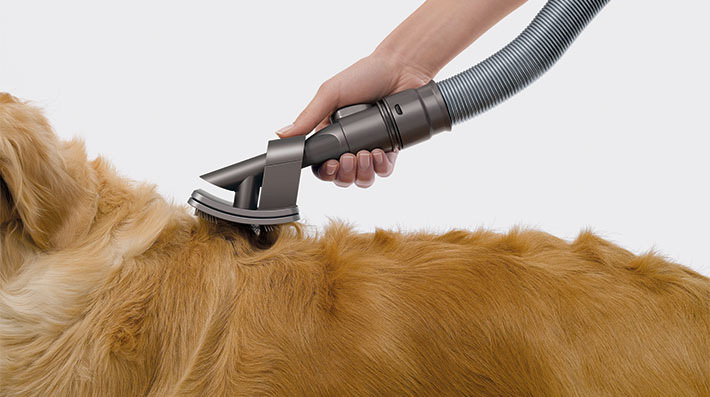 Self-clean mode.Removes hair directly from your dog – before it’s shed around the home. Collected hair is then sucked straight into the vacuum. Slicker bristles364 bristles are angled at 35°, so when pressure is applied they flex to an upright position – penetrating the entire coat and grabbing loose hairs. Captures allergens during grooming-Removes dead skin cells as well as loose hair – capturing allergens and stopping them spreading around the home. Single-hand control-Adjust bristle length and switch between groom, self-clean and self-store modes with just one thumb. No fiddly buttons or dials. For medium and long coats-Designed for use on medium and long-haired adult dogs. Compatible with all Dyson machines from DC19 and newer, including Dyson Ball™ vacuums, Dyson Ball Compact™ vacuums, Dyson Cinetic™ vacuums, Dyson Cinetic Big Ball™ vacuums. Not suitable for cordless models. Increased fine dust pick-up-A dense strip of anti-static carbon fiber filaments increase fine dust pick-up by 27% compared to the previous generation. Self-adjusting brush plate-Automatically redirects the suction channel as you sweep to maximize dust pick-up. Gentle on delicate surfaces-Soft carbon fiber filaments gently dislodge dust, while a felt bumper protects from scratches. Certified for asthma and allergy sufferers-This is an approved part for Certified asthma & allergy friendly™ vacuums. 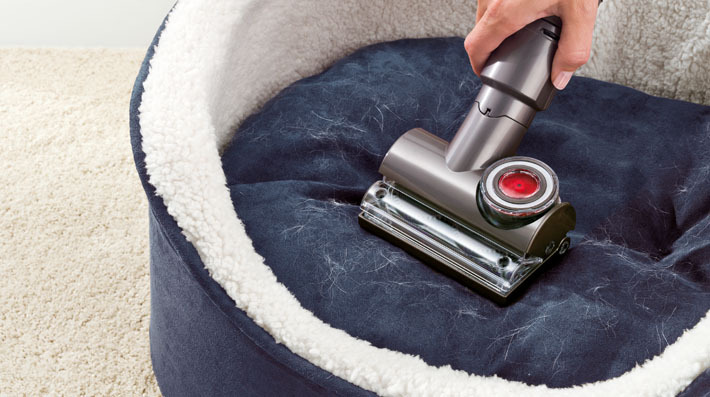 Compatible with all Dyson upright, canister and cordless vacuum cleaners. Stiff nylon bristles-At the end of the tool agitate carpet pile to dislodge stubborn and ground-in dirt. Flexes into awkward gaps. Airflow is faster at the tip - to remove dirt and debris from hard to reach corners and gaps. Tough and flexible-Extendable rubber section balances toughness and flexibility - thick enough to channel high-velocity airflow without deforming, flexible enough to bend around corners. Crevice tool for larger debris-The tough polypropylene main shaft can be used as a regular crevice tool to clean away larger debris. All Dyson upright, canister and cordless vacuum cleaners. Consult your manufacturer's recommended instructions before cleaning delicate surfaces in your home. Gently removes dust and allergens-Soft dusting brush gently removes dust and allergens from flat surfaces, delicate areas and upholstery. Fine nylon bristles-Fine nylon bristles angled at 45° to sweep dust into the airflow, where it is sucked away. Non-stick-The front bristles are wider spaced to prevent sticking to furniture. Felt strip protects delicate surfaces-A felt strip along the center of the brush protects polished and delicate surfaces from scratching. Distributes suction power evenly-The tapered shape channels airflow to distribute pressure evenly across the length of the Soft dusting brush. Engineered to be easier to push-A 45° neck angle and rounded front make it easier to push across fabric, carpet pile and mattresses. Distributes suction power evenly-The top is angled to distribute suction power evenly across the tool. Tough and durable-Made from tough polypropylene for strength and durability. 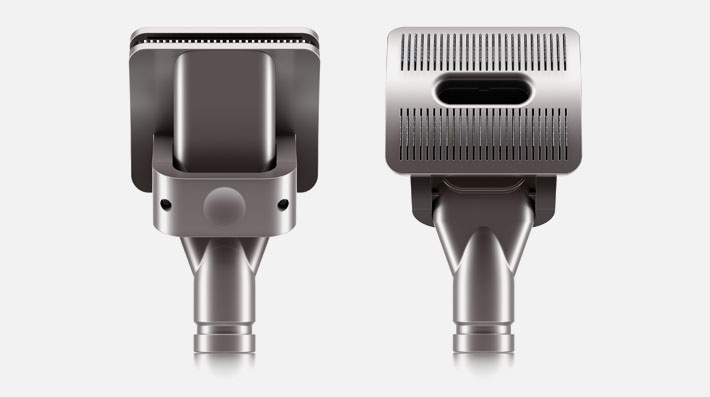 This is the genuine Dyson wand extension tube assembly for the DC23, DC26, and DC39 vacuum cleaner. 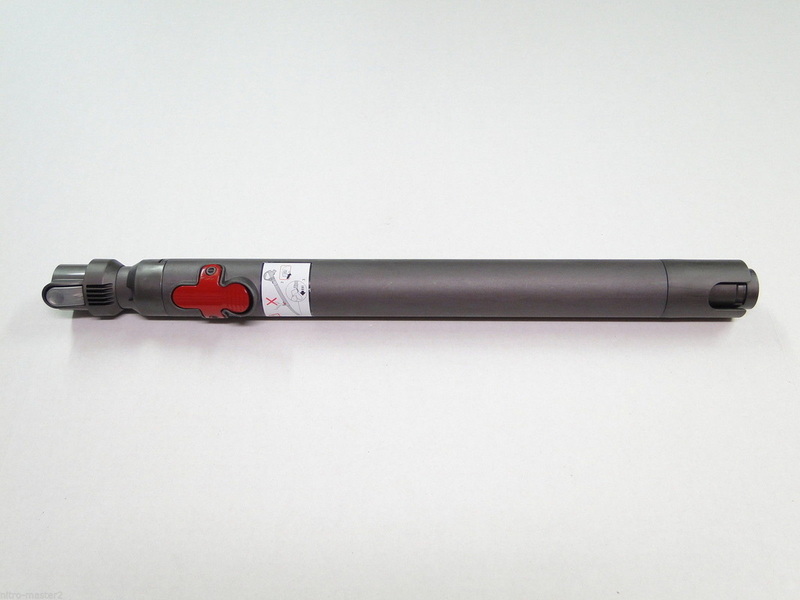 This product can also be referred to as the 2 piece plastic wand assembly. For use with a rotating brush bar only. 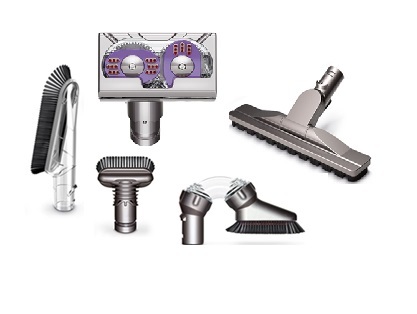 All Dyson upright vacuums, DC05 Motorhead, DC21 Motorhead and DC23 Motorhead. Contains four active agents to remove spots and spills from carpets and rugs. Ideal for wool and stain-resistant carpets.